Located near the intersection of Farmington Ave and Corbin Ave, Extra Space Storage serves residents of New Britain, Farmington, Newington, Plainville, and more. Locals will recognize our facility next to ALDI south of Pulaski Middle School. Are you a college student who needs self storage in New Britain? Extra Space Storage is about 1.8 miles from the CCSU campus, making us a great option for summer storage or storage while studying abroad. 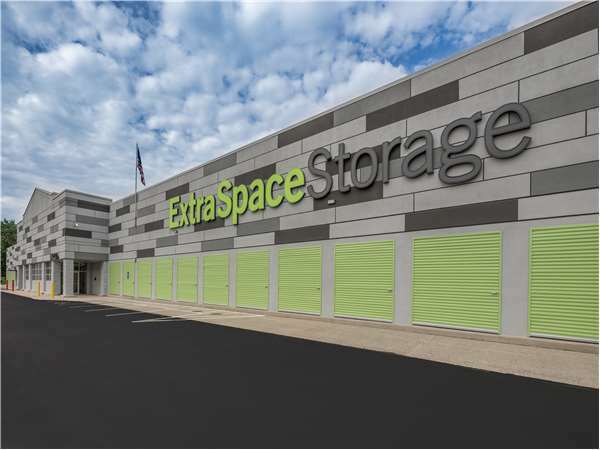 Extra Space Storage on Farmington Ave offers a large selection of storage units, exceptional security, climate-controlled storage, and vehicle storage. We're the storage partner you can trust in New Britain! Drive south on Fienemann Rd. Continue onto Farmington Ave. Pass Pulaski Middle School and continue south. Our facility will be on your left after ALDI. Drive north on Beaver St. Continue onto Farmington Ave. Pass Blake Rd and continue north. Our facility will be on your right before ALDI. Drive west on Allen St. Turn right onto Farmington Ave. Pass Blake Rd and continue north. Our facility will be on your right before ALDI. Drive east on Osgood Ave. Turn left onto Farmington Ave. Pass Blake Rd and continue north. Our facility will be on your right before ALDI.